Home Affairs and Law Minister K. Shanmugam talks about the year-end efforts at the Woodlands Checkpoint. SINGAPORE - Travellers at Singapore's land checkpoints during the peak holiday period have seen some counters closed. Several have grumbled at the long wait, wondering what immigration officers are up to and asking for all counters to be opened. But officers are doing their best to cope with the increased travel volumes, amid a shortage of manpower, Home Affairs Minister K. Shanmugam said on Thursday (Dec 27). 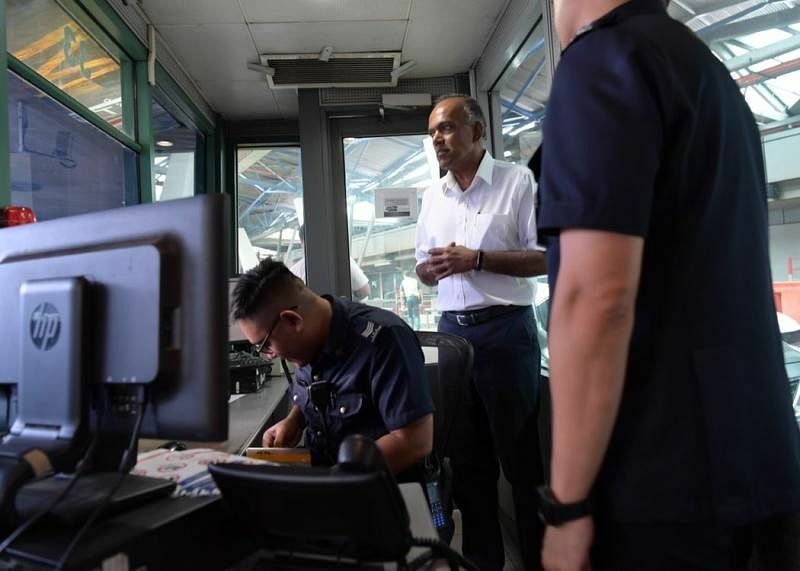 Officers from the Immigration and Checkpoints Authority (ICA) have been working tirelessly, especially throughout this peak holiday period, Mr Shanmugam told reporters after visiting Woodlands Checkpoint. "You might see car counters closed but people might not understand how we work," he said. "It's not as if counters are closed and officers are sitting down doing nothing. They're deployed across counters and continuously have to put in long hours and be alert as well, because the security risks go up during such periods," he added. In fact, officers have had to be recalled to work on their rest days, to cope with a higher volume of travellers during this period, he noted. "Last week alone, we asked 500 officers to do overtime," said Mr Shanmugam. "So they're working their guts out." 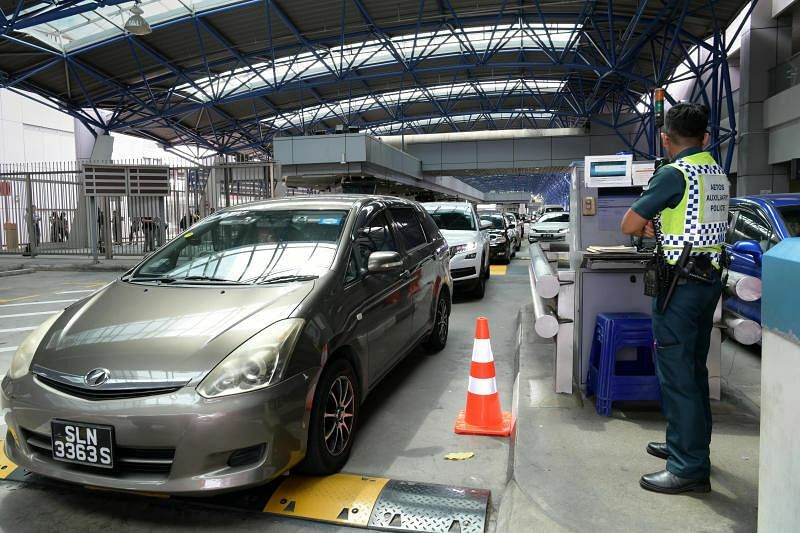 The minister noted that the situation at both Tuas and Woodlands land checkpoints was similar to that in previous years in late December, which sees a 10 per cent increase in the number of travellers utilising both checkpoints - amounting to 430,000 crossings per day. He explained that the situation at the checkpoints is constantly being monitored. And ICA officers are redeployed depending on the demands on the ground, he said. For instance, if there are more visitors at the arrival halls, the authorities may cut back a little on manpower at departure halls. And when demand at the departure halls is highest, officers are redeployed from arrivals. "Just like many other areas in Singapore, we don't have enough manpower. It's not for want of trying," he said, noting that only Singapore citizens can be ICA officers. "Peak demands vary, depending on departure, arrival, different times, lorries," he added. "So with the available manpower and whoever we bring back (to do overtime), we deploy them according to where the demand is highest." On Thursday, Mr Shanmugam visited ICA officers manning several of the vehicle checkpoints to give them encouragement as they put in extra hours during the festive season. His visit comes as some netizens have suggested opening more car counters following traffic jams at Woodlands Checkpoint in mid-December. The minister said the officers' morale is good, adding that most Singaporeans understand the conditions ICA officers face daily. He also said the authorities will be looking into longer-term measures that will make use of technology to overcome manpower constraints, but stopped short of giving details.